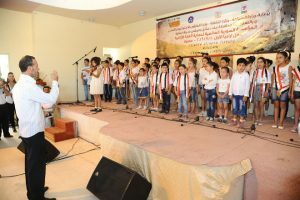 Damascus Countryside, SANA – The Syrian Global Society for Preserving the Aramaic Language organized on Saturday a musical event titled “Aramia 2016” in Maaloula town in Damascus Countryside that featured songs and poetry in Aramaic. 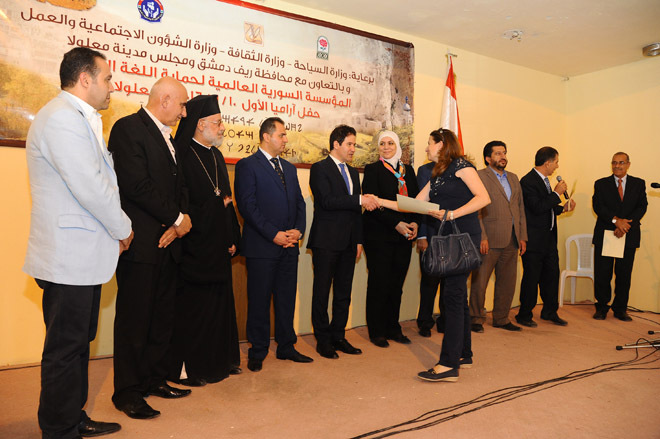 The event also included honoring poets and Aramaic language enthusiasts from the town. Head of the Society Jihad Zakhour said that the Aramaic language is a Syrian language, noting that Syria gave the world the first alphabet and the first musical note. 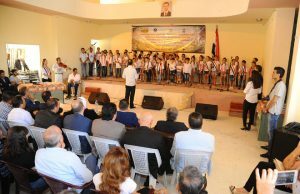 He said that the Society seeks to spread the teaching of the Aramaic language in all its accents and its authentic Syrian letters. 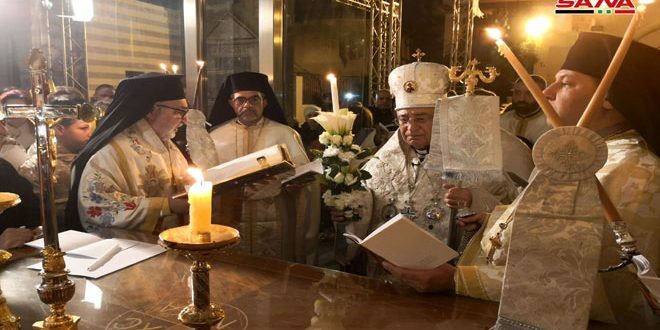 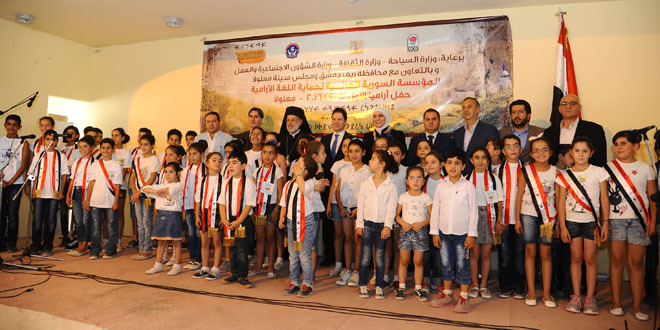 Meanwhile, scholar Elias Nassr who wrote the Maaloula Encytclopedia said that holding this event and celebrating the students who trained in Aramaic singing heralds Syria’s victory and shows that the will to live triumphs over the culture of death. 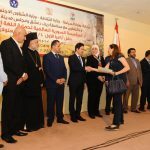 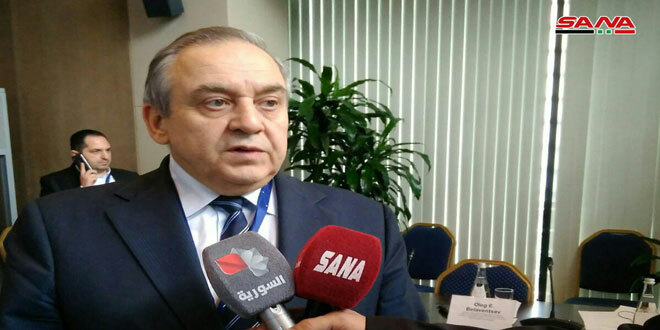 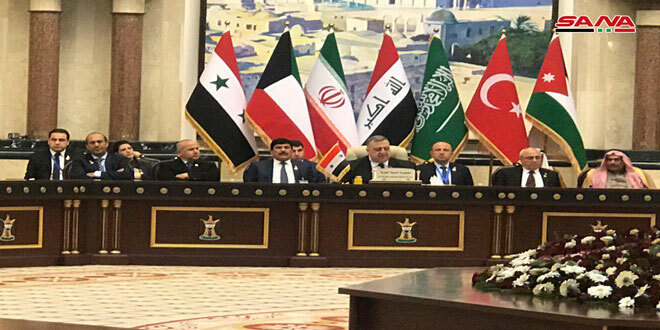 In statements to journalists, Tourism Minister Bishr Yazigi who attended the event said that Syria hosts many priceless cultural treasures for humanity, including the Aramaic language, noting that the Syrian government provided all possible facilitations to preserve this language and promote it, and that the government values the local community’s efforts for preserving the language of Jesus Christ. 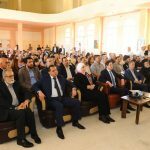 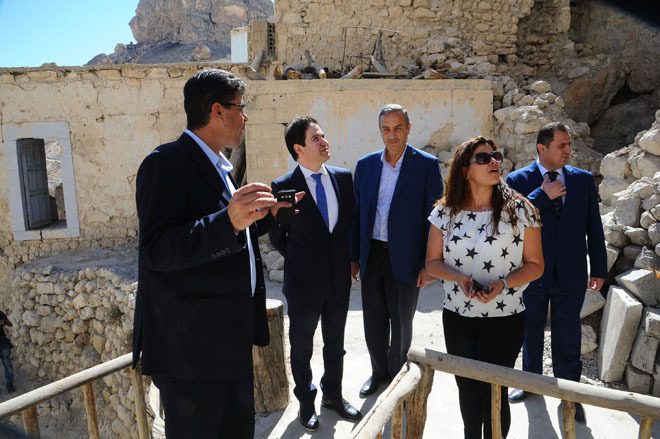 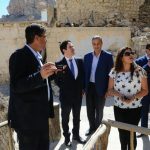 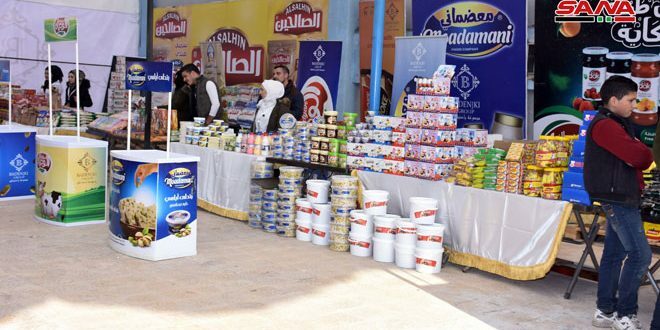 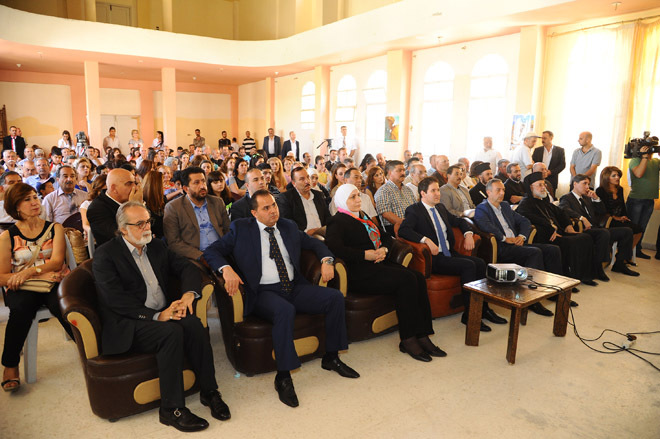 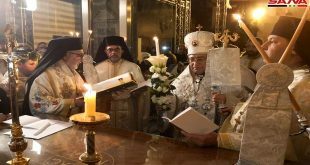 The event was also attended by Social Affairs and Labor Minister Rima al-Qadiri, Damascus Countryside Governor Ala’a Munir Ibrahim, and other figures, and after the event they toured the town and visited St. Thecla Convent.